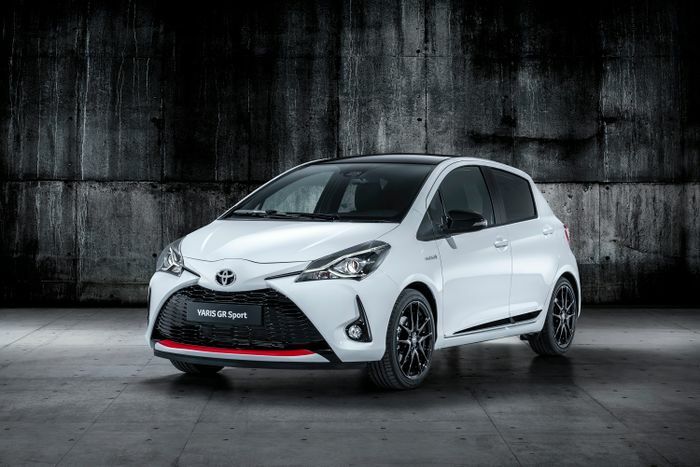 There’s a cavernous gap in the current Toyota Yaris range. At the very top of the tree, there’s the furious 209bhp GRMN, but the next step down the pecking order from there is massive. That’s because Toyota doesn’t make any other Yaris that’s even remotely sporty. 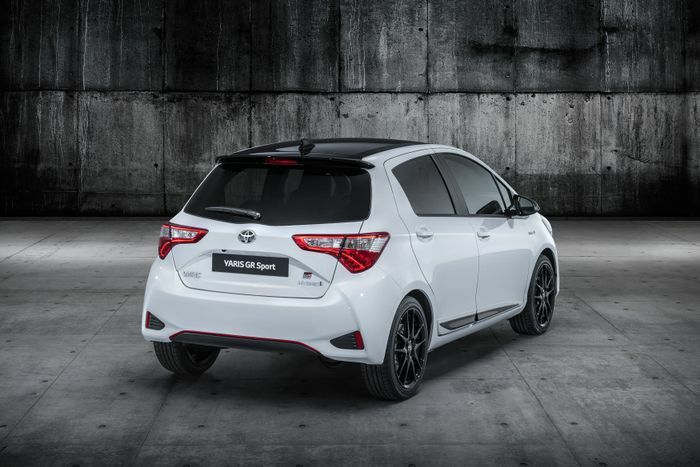 It seems the Japanese manufacturer wants to address this, however, by releasing this new Yaris GR Sport to try and bridge the divide. 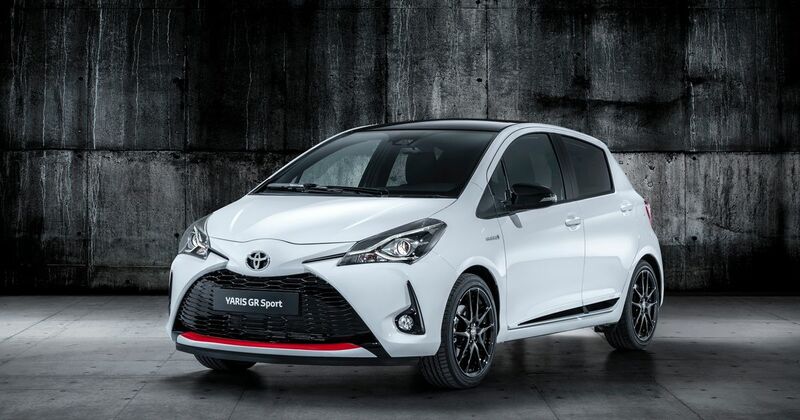 We knew something like this was in the pipeline, as last year a whole bunch of GR Sport-badged Toyotas were revealed for the Japanese market last year, including two warmed up versions of the Vitz (the JDM Yaris). What you see here is the first GR Sport-branded car to land in Europe, and it has a pretty serious spec: much of the car’s chassis components have been lifted straight from the GRMN. It has the same Sachs Performance dampers, and its 17-inch alloy wheels (a design exclusive to the GR Sport) are wrapped in Bridgestone Potenza RE50 205/45/17, the boots used by its big brother. Ground clearance has dropped by 11mm, and the wheel arch gap is down by 18mm. It’ll still probably fail the shoe test, but hey - it definitely looks a little more sporty than your average Yaris. The final piece of the puzzle is a solid anti-roll bar, replacing the previously-used hollow part. On the outside, you’ll find various bits and pieces that further demonstrate the GRMN connection, including a black roof, a cute little roof spoiler and a splash of red at the front. The interior has been sportified by the addition of GR-branded ‘Ultrasuede’ seats with contrast stitching, a smattering of satin chrome trim and a steering wheel borrowed from the GT86. An extensive list of upgrades, but there’s one glaring omission: power. 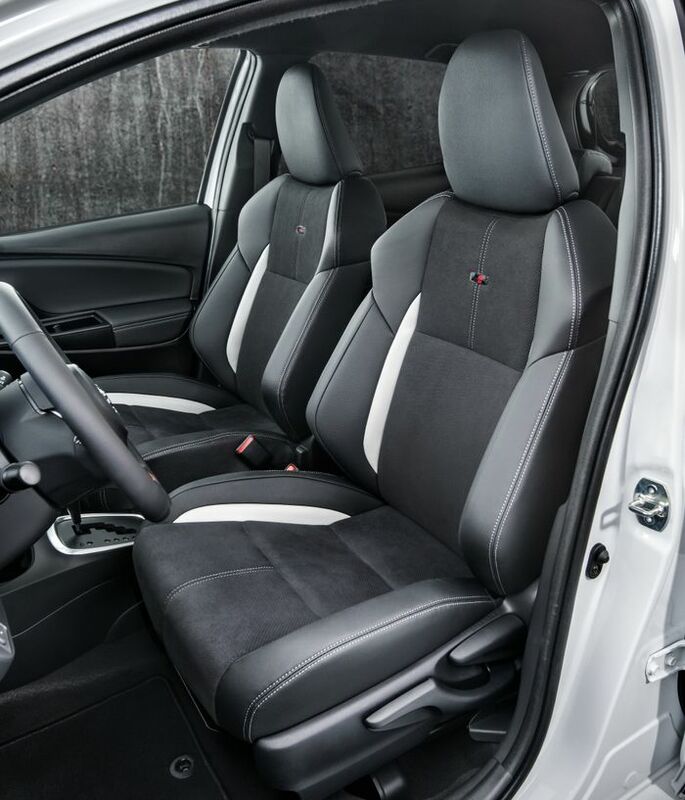 The GR Sport trim - as well as only being available as a five-door - can only be specced with a 1.5-litre hybrid powertrain, which develops all of 99bhp. A chassis of a hot hatch without the power? It’s an odd concept, but we’ll reserve judgement until we have a go.